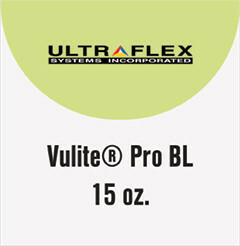 Vulite ™ Pro BL 15 oz. 15 oz. economical back-lit substrate. Can be used for a wide variety of illuminated indoor or short-term outdoor sign applications. Its smooth print surface is specially engineered to avoid flow marks when back-lit. Compatible with Solvent, UV curable, and Latex printers.